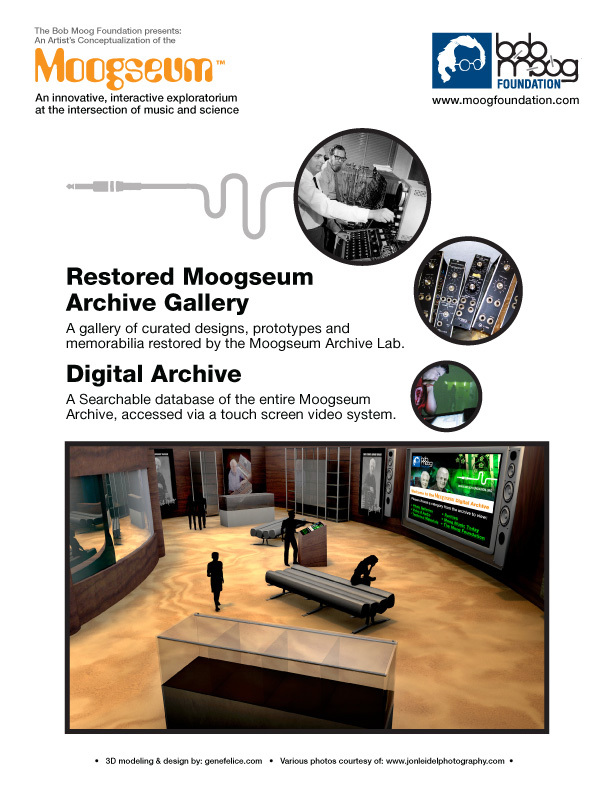 The Moogseum was my first introduction to the world of Architectural Visualization. I’ve been working with 3D models, animation and rapid prototyping for years, but this was the first time that I was asked to imagine a space that was yet to be. 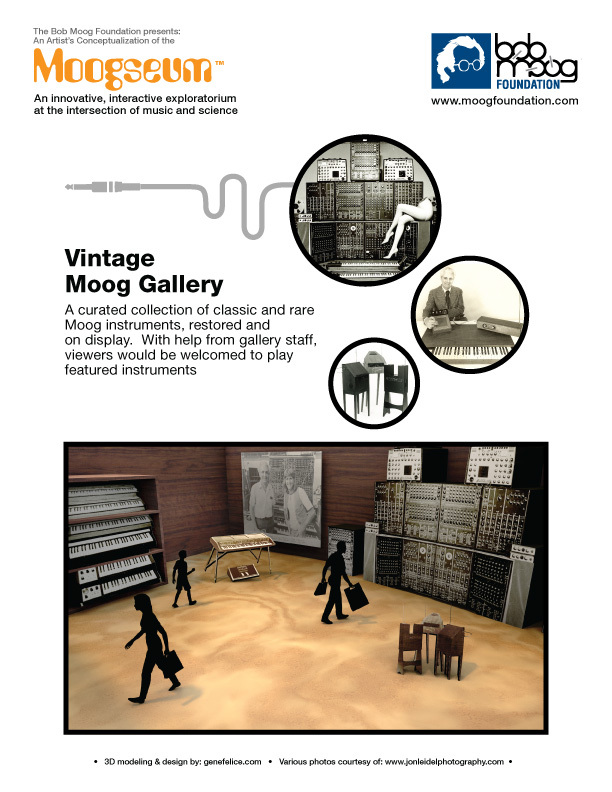 After visiting the grounds of Bob Moog’s home in the mountains of Leicester NC, I was inspired by his round, “delco style” house, adorned with beautiful walnut wood, just like his beloved instruments. Inspiration was struck and the 3D visualization that you see is the result. It was a true lesson in scale as I started with the scale of myself, a 6ft tall male and pretty much worked it all out from there. I loved laying out all the individual spaces with their unique content. 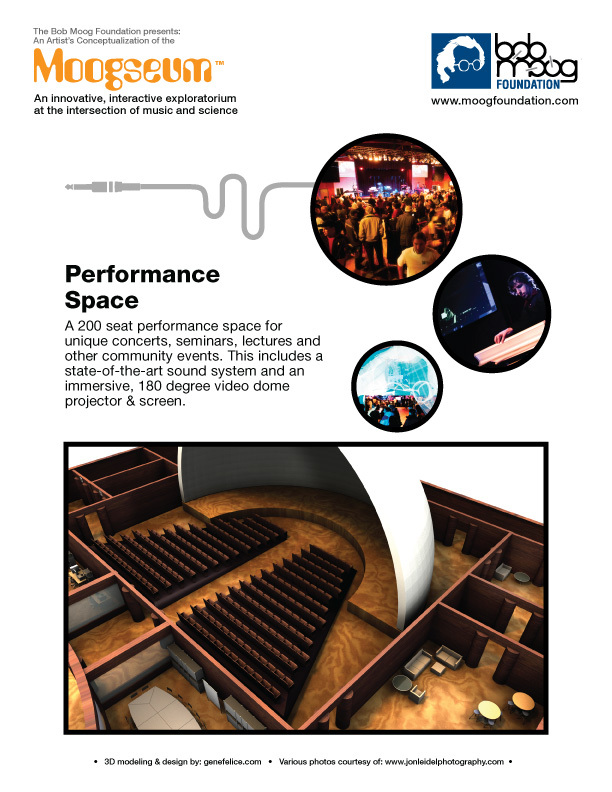 I started to imagine the space as an integrated, analog instrument in a way, with modular spaces and functions. 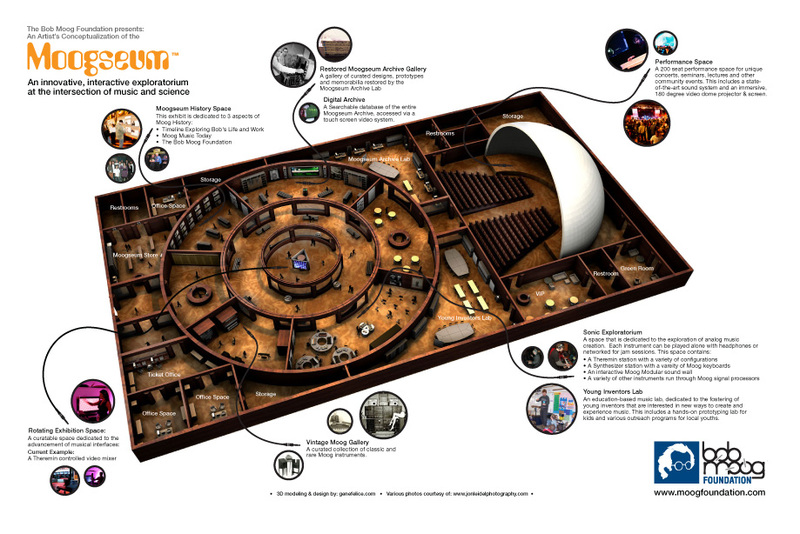 Several interactive instrument-based exhibits that will allow people the ability to experience the science behind the sound of electfonic music. 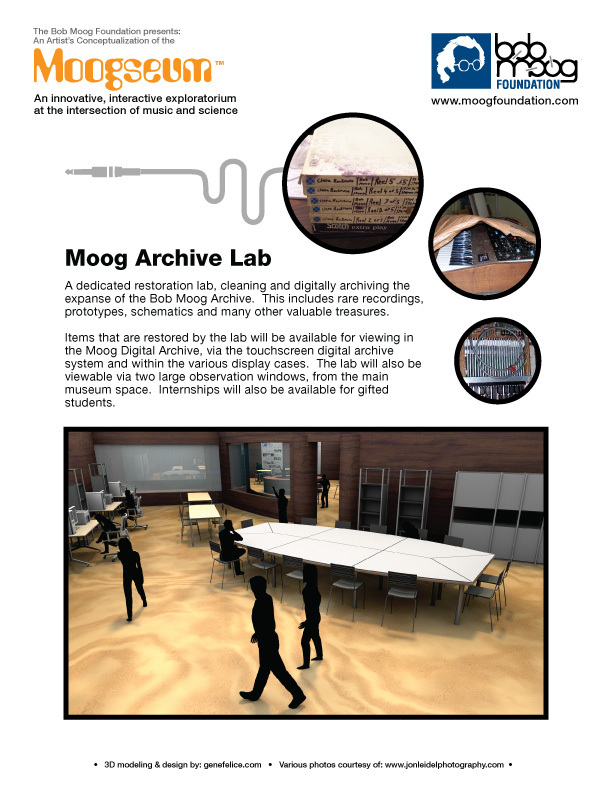 We envision bays of Theremins hooked up to Moogerfoogers and rows of synthesizers hooked up to oscilloscopes filling our interactive area. 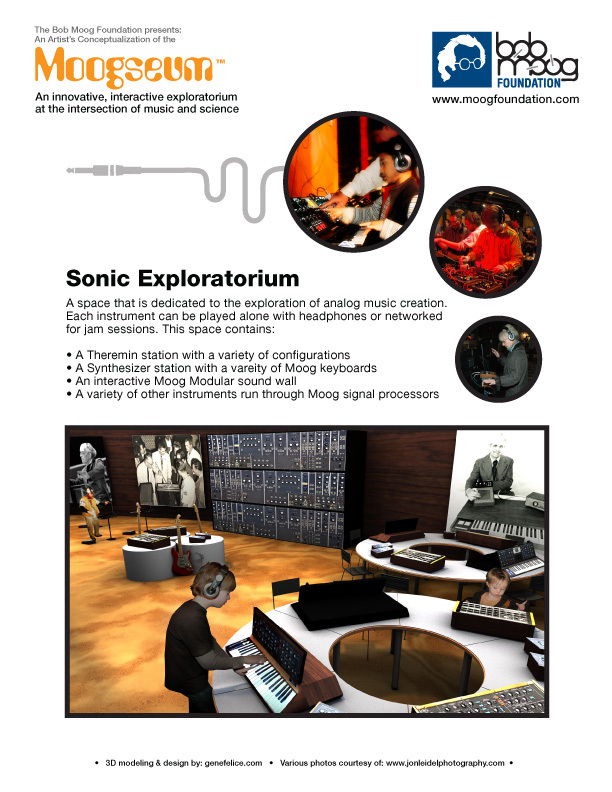 A modular synthesis wall is planned as well. 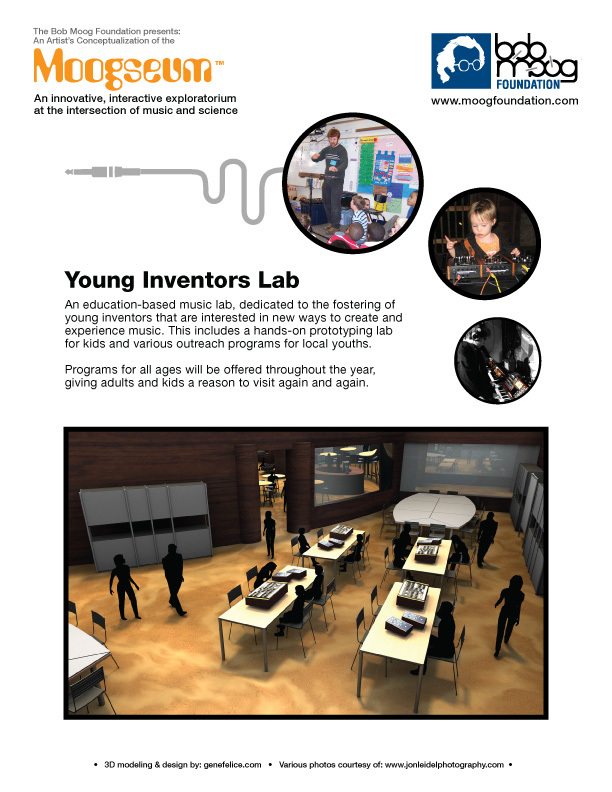 A Young Inventors Lab where children will be inspired to explore electronic music and create their own prototype through our Youth Outreach programs, afterschool workshops and summer camps. 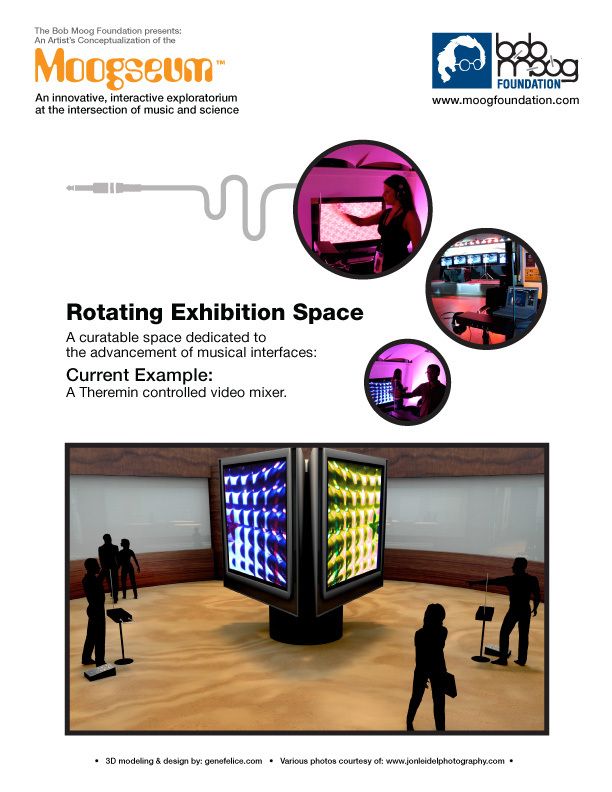 A rotating exhibit space which highlights new innovations in musical instrument interface as well as shared exhibits from other museums. 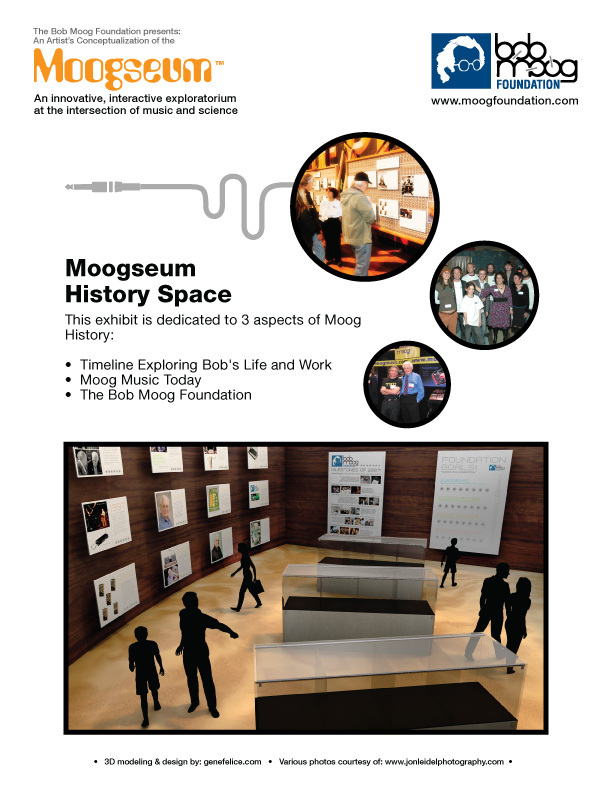 The Foundation is in the initial planning stages for the Moogseum, and projects the facility to open in the next three to five years. 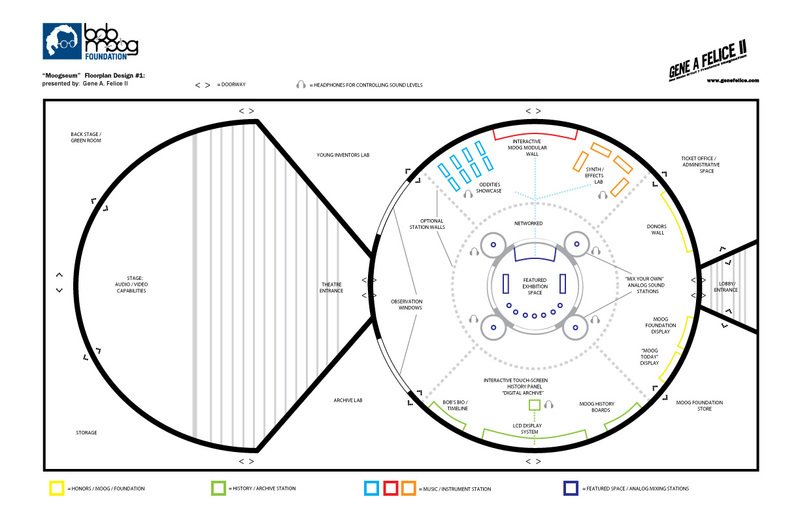 Premliminary costs for Phase One of the facilty are estimated to be $3 million, which will be raised from granting organizations, corporate sponsors and private donors.